While serving as a Peace Corps volunteer in Venezuela, Mark Gaskell got his first experience with thriving coffee plantations. Years later, as a UC Cooperative Extension advisor to small-scale farmers in California, he wondered whether coffee could be a viable specialty crop for Central Coast farmers. Gaskell established transplants in 2001 and discovered that the sub-tropical plants could thrive in the Golden State, reported Jodi Helmer on Valley Public Radio's The Salt. Local farmers embraced the idea of California coffee and started planting their own crops. The burgeoning state industry now boasts 30 farms growing more than 30,000 coffee trees. 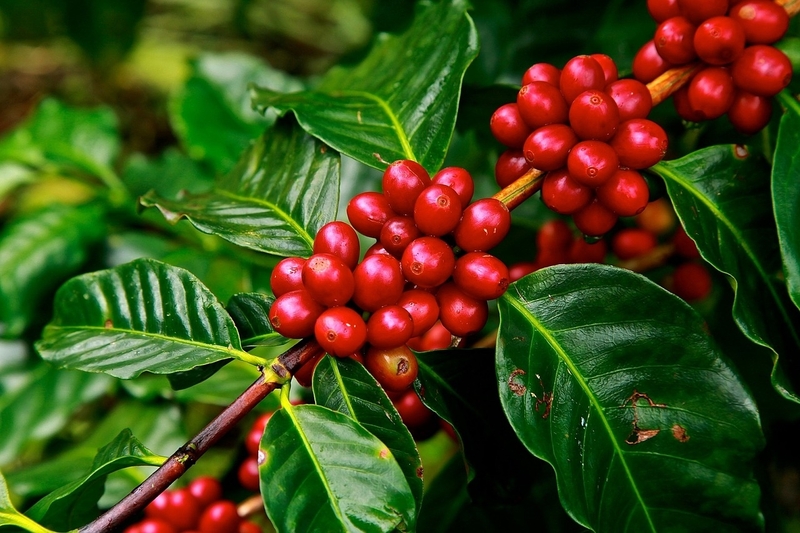 California coffee is selling for as much as $60 per pound. "A single cup sold for $18. The coffee sold out within two weeks," the VPR story said. California-grown coffee has great earning potential for farmers, reported Valley Public Radio. I think it is a great idea and it has great market since Americans drink a lot of coffee, I my self interest in plant coffee if I could find the seeds or plants, parts of Libya is like California.